Smart Laser Sensor (SLS) is a special laser sensor which is based on the triangulation principle use a laser stripe projected onto the target to produce its 3D profile for all types of mechanised and robotic welding. It consists of a robust CMOS megapixel image sensor with very large scale integration devices, including a large FPGA (field-programmable gate array) and a powerful DSP (digital signal processor) inside the sensor head itself. 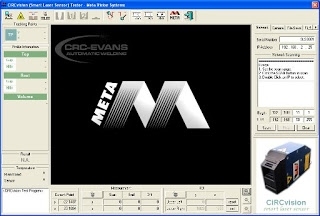 It is the first such sensor to incorporate high performance image processing in the sensor head itself, rather than needing a separate computer, and has many applications throughout manufacturing industry. 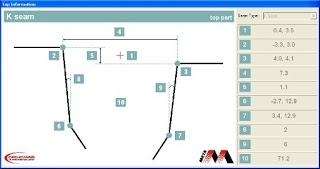 Other functions of the SLS, in addition to seam tracking during welding, include inspection of the bevel on pipe ends before welding, and of the weld bead after it is laid. 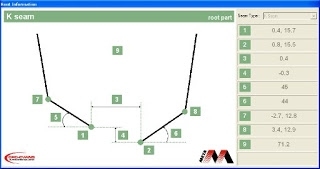 The output data is sent via a high-speed Ethernet or CANbus interface to the motion control system driving the external welding system. 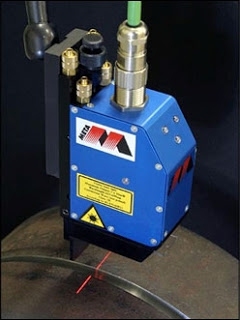 Since the laser sensor works in 3D, effectively taking slices through the weld joint, it is able to compute accurately the weld volume in real time, allowing adaptive control over key welding parameters. Implemente TI DSP firmware in C.
Implemente Windows applications in C++. SLSTester - Windows application for debugging and development.